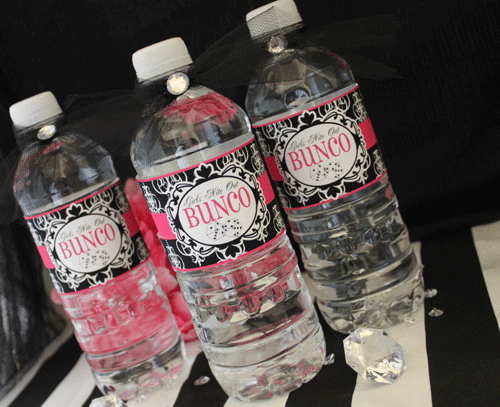 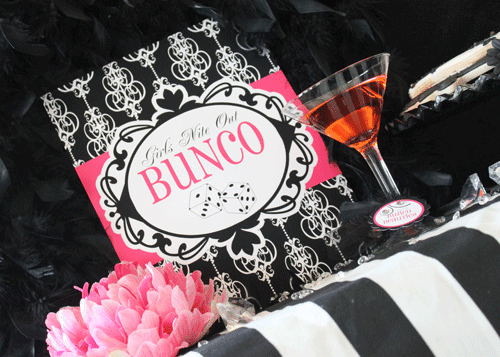 All Bunco All the Time! 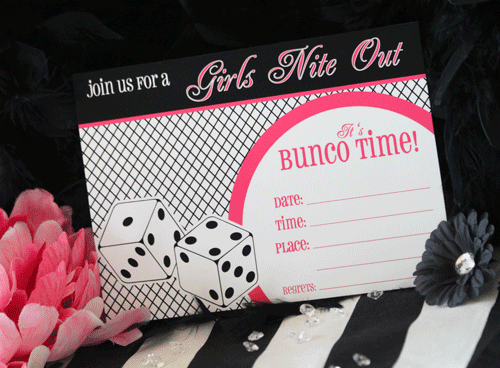 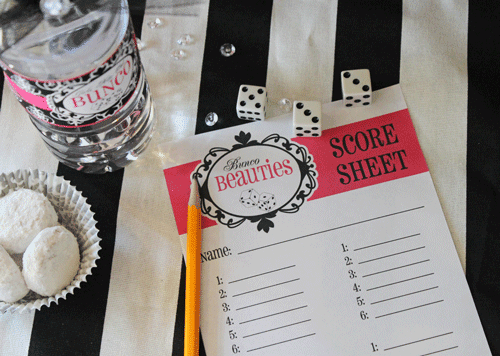 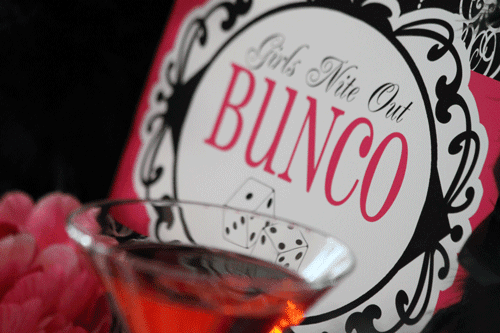 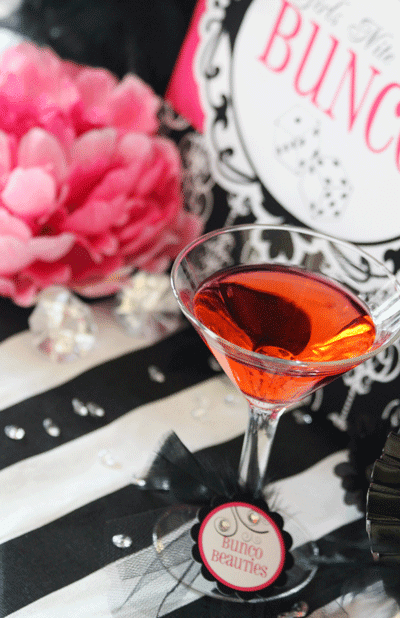 Score sheets, Tally sheets, Bunko rules: Free Bunco Party Printables! 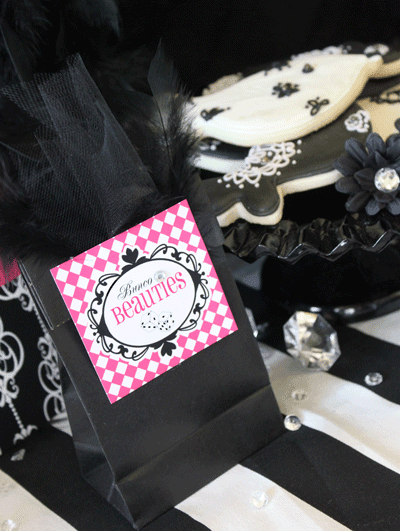 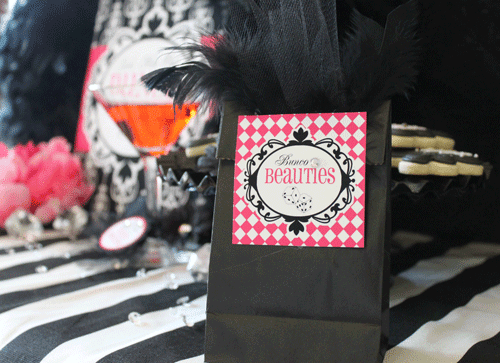 The pink and black set includes party signs, 2" party circles for cupcake toppers and other party tags, water bottle wraps, score sheets (for filling in those scores right off the Buncolator screen, of course), a fill-in invitation and even some cute take-home favor tags. 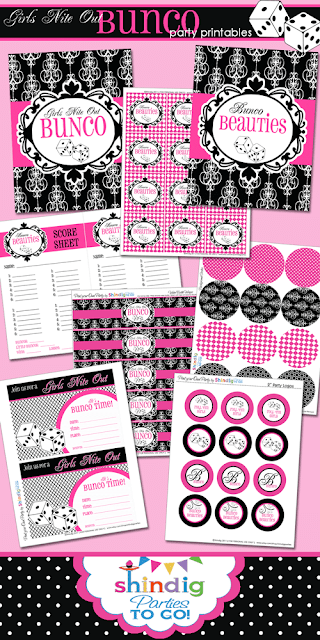 The creator of the free printables blogs here. 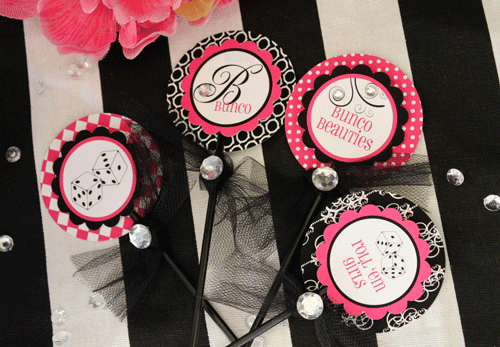 She guest-blogged and created these cuties for another fabulous blog, found here. 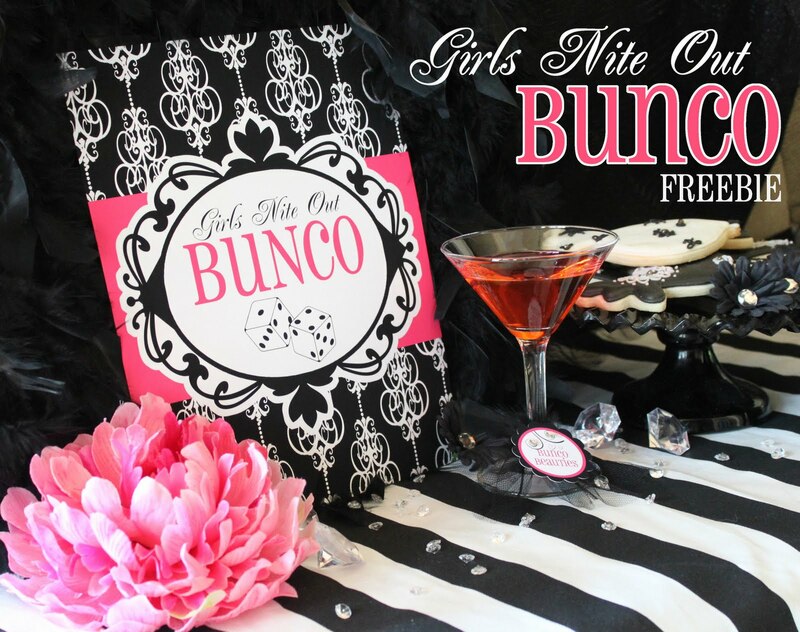 And here is the link to the downloads themselves.